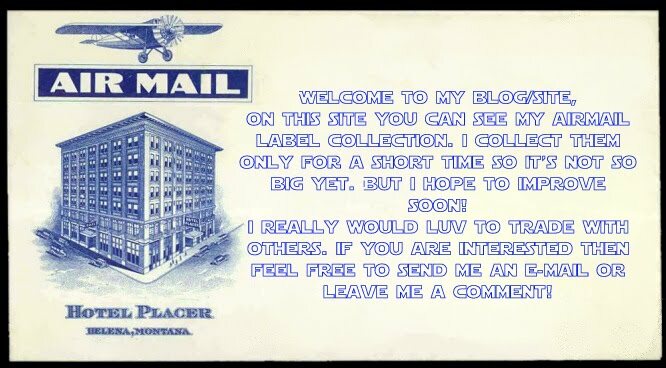 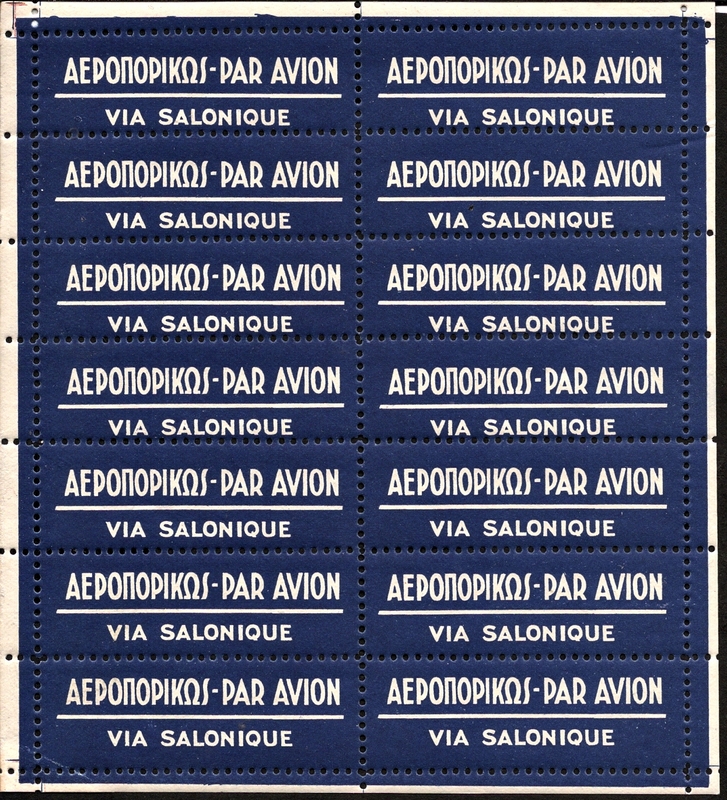 Here is 2 complete sheets of airmail labels from H.E.E.S. 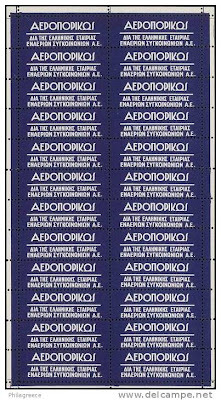 The second sheet of labels were handed to the Greek p.O. 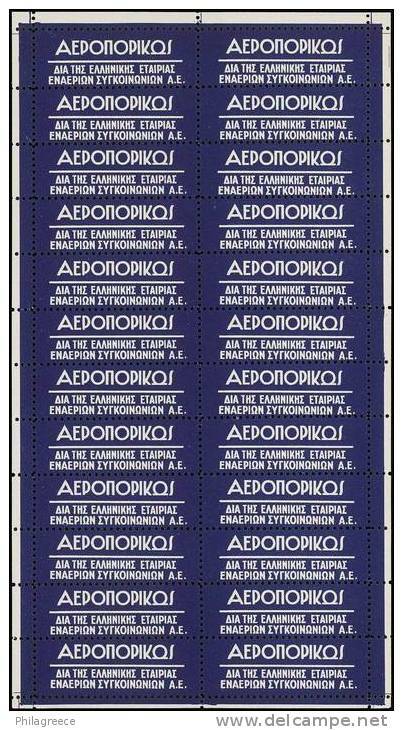 by E.E.E.s.s to be distributed to the public and used on mail flying by the Athens-Salonica line. 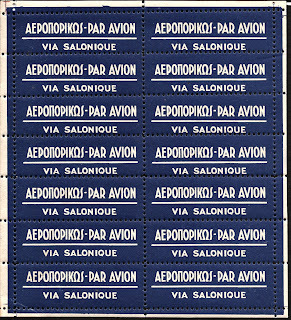 It was also used for transit air mail wich was carried by this line.